Rated US Chess quad tournaments at all levels. Enrollment online by 12 pm Friday is required to reserve your space allowing us to plan ahead. Enrolling online is your RSVP with no obligation other than to let us know to expect you. You can cancel at anytime. If you have a ranking please let us know via email so we can organize challenging quads when possible. Earn points and starts playing chess competitively at Way of the Board Chess Club. This is a rated event and players must be members of the USCF. Become a member today. Enrollment online is required so we know to expect you. Fee: $20 per class with purchase of 4 pack or $25 single visit. Are you ready to be challenged at a higher level than ever before? Master Kobas will meet you where you are and help you improve and get better results in progressively more difficult scenarios. Learn from one of the BEST. Group class (six min.) Tuesdays 5 pm. $120 for four classes or $40 single rate. $100 an hour private lessons by appointment. You MUST enroll in advance so we know to expect you and can manage class minimums. 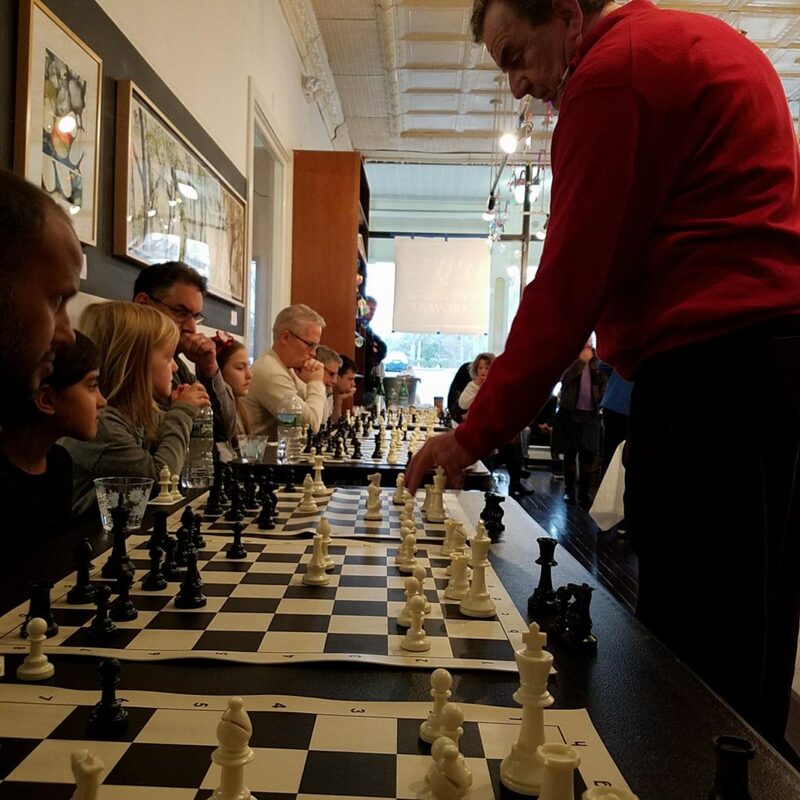 Welcome to Way of the Board a USCF sanctioned chess club located at 21 Governor St. Ridgefield CT.
We welcome you to join our club and play chess during our open chess times. Chess club is open for "drop-in" play on the following days and times. Chess club is FREE to fencing students but you can still become a chess club member for only $15.00 per month with unlimited play. Master the game of chess under the tutelage of Master Adnan Kobas now available for private lessons by appointment only. Mr. Kobas is a Fédération Internationale des Échecs Master as well as a US Chess Federation lifetime Master. with best rating of 2444, was two time absolute champion of Bosnia, 3 X CT champion, and numerous other accolades spanning a lifetime career. Professionally coaching since 2001, his students won 6 US scholastic championships, three national team titles, including a super national in 2011. Now, offering coaching at Way of the Board Chess Club. Group and private sessions.